Info: Created on 17th July 2010 . Last edited on 29th July 2010. Reminds me of Wipeout Pure! great font. Congratulations! FontStruct Staff have deemed your FontStruction worthy of special mention. 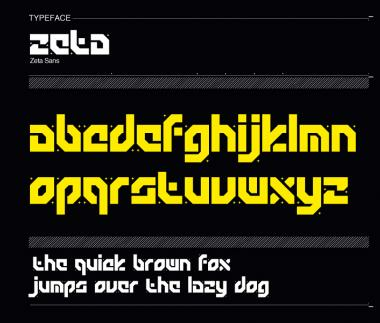 “zeta” is now a Top Pick. Looks well crafted ... even without the sparkles. Super modern and really cool example that you gave!